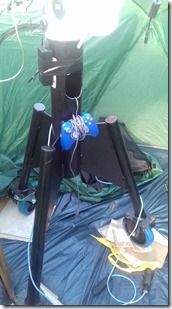 I have not had much chance to test thing in anger since i picked it up from Matthew Armitage of Astromount. 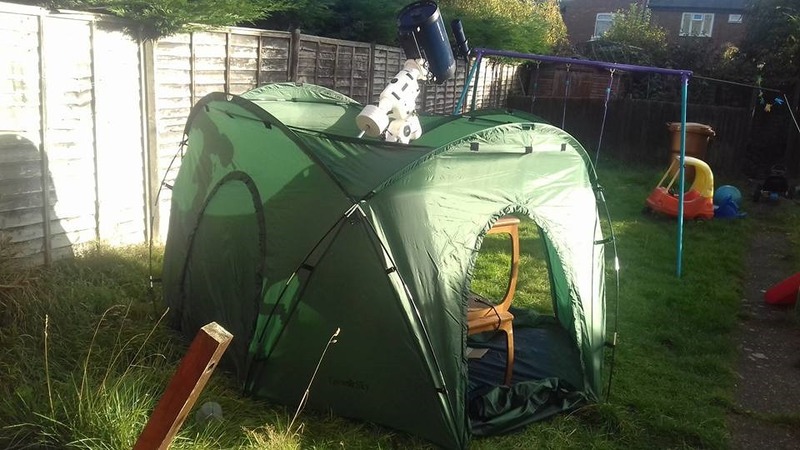 I also purchased a tent observatory so its kind of a double whammy. Obviously i wheeled the pillar into the tent before assembly it would not have been easily possible to put it in otherwise owning to the weight. I had to use the bolt as well to get the mount level. This is one issue, we need a pad at the end of the bolt (like you have on the end of the bolt in a vice). I think too the user should get this as aligned to North as despite the pillar being mobile it would be hard i think to have to re level the pillar if its moved especially on uneven ground. As you can see in the picture though i think we’re all set. Note the controller i have hung to the pillar. Something that simple has been on my wishlist for a while. I have also taped the power supply to the mount on the side of the pillar. It all seems stable enough, there are a good few kilos of weight on it now! Below is a pic of the overall setup. How will it go? Time will tell.